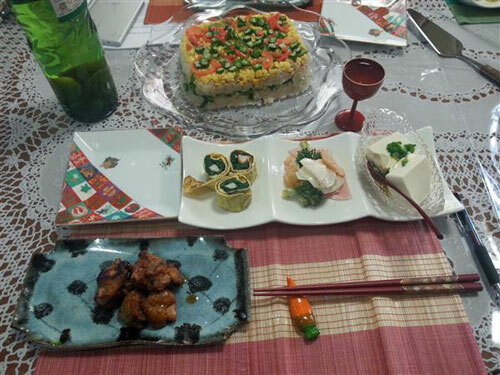 I booked a cooking class with Yoshiko in December 2013. I was travelling with two friends in Kansai and we had been interested in Japanese cooking for a while, so this was a great opportunity. It was a wonderful experience being in Yoshiko’s home and experiencing Japanese cooking in a Japanese kitchen, and I am very glad we found this course! 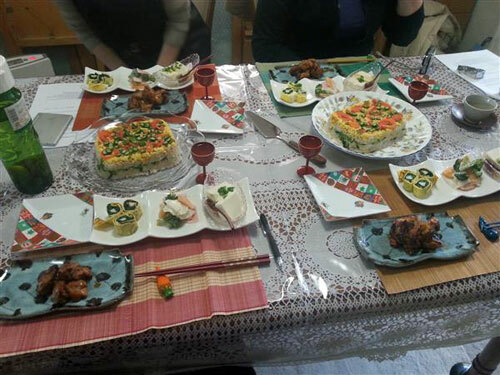 Yoshiko was very thoughtful about food allergies or food preferences, and the class was well-prepared and the teaching hands-on. The food was delicious, and everyone eating together afterwards was a very fun cultural exchange. 🙂 It was both a learning experience and a great way for us tourists to get to know Japanese people. We were a group, but Yoshiko and her friend were so friendly and created such a relaxed atmosphere that I think this would also be a great experience and a chance to meet new people if you’re travelling alone! I really recommend it.